I'm looking for an older HB 35 and, after doing some research, I've found that some are made in Korea, some in China, and some in Japan... what is the deal with this? Is the country of origin dependent on the age of the guitar... ie when it was built? Is there differences in the quality? One would think that MIJ is better than MIC...? Generally, the opinion is the older the better, with the early HBs from Japan being different, and a bit nicer than the later ones. That being said, Washburn has made a habit of factory hopping over the last 30 years, and there are Korean and Chinese factories that makes excellent guitars, so it's a bit hit or miss. there are a few other threads with tons of information and speculation on here. Brew a pot of coffee and hit the search function. I can tell you this, I love my HB. Everything about it. Mine is 1988 Japan. 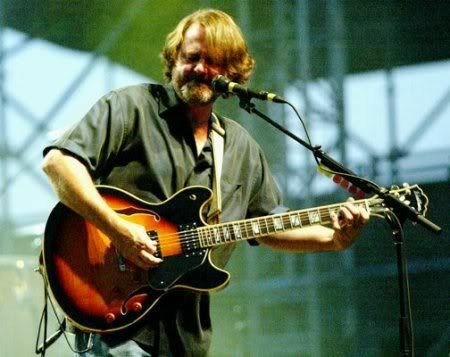 Seen dudes playing live with Koreans recently, and John Bell from Widespread PAnic plays an HB made from a Chinese built box, with lots of custom shop TLC. Thanks for the info! Funny that you mention JB... I'm a huge WP fan and basically bought this guitar because of seeing his all the time.... such a nice looking piece. Any idea what pickups he has in his? From the reviews I've found on line, the pickups are the only weak part of this guitar, and I'm planning to change them out. I play my Les Paul 90% of the time, but have been wanting one of these for a long time. Is there anyway to date the guitar based on the serial number? The guy I got it from on ebay told me that it is a 1991 model, but it says made in Korea... so based on your info above, 1991 is not the correct year. The serial number is: 01050478. I've also read that the older MIJ ones are generally considered the best, but I really like the look of the split block inlays, and I don't believe the MIJ ones have them. I'm really stoked about it and looking forward to modding it. It should arrive on Wednesday or Thursday! I'm sure you'll love it, and the Korean builds can be very high quality. My Idol is '03 Korean, and it's top notch. Give those pickups a chance too, some people love them. But if you were going to switch them out, I'd think any of the multiple PAF clones on the market would be a good option. 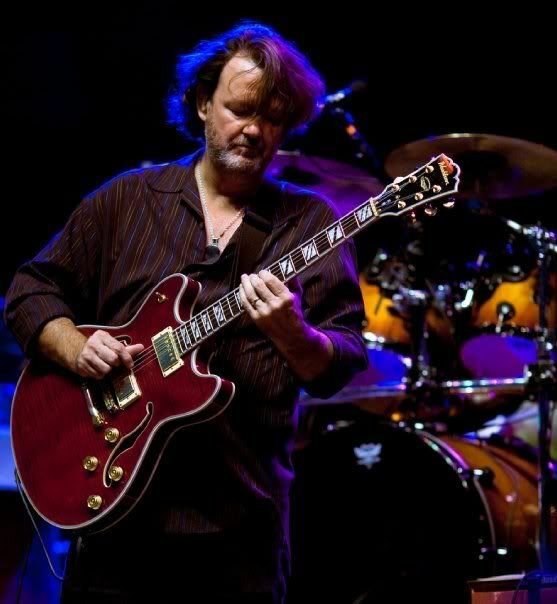 As for John Bell, I don't know what he uses, and sadly either does the guy who built the guitar. My guess is that WP has some pretty good tech's, and he likely has them rip out whatever they come with and put something tried and true in it. My choice, money no object, would be a set of Lollar Imperials. Gibson 57's would be excellent also. I have a vintage Seymour Duncan JB, split, in the bridge of mine and use it almost exclusively. 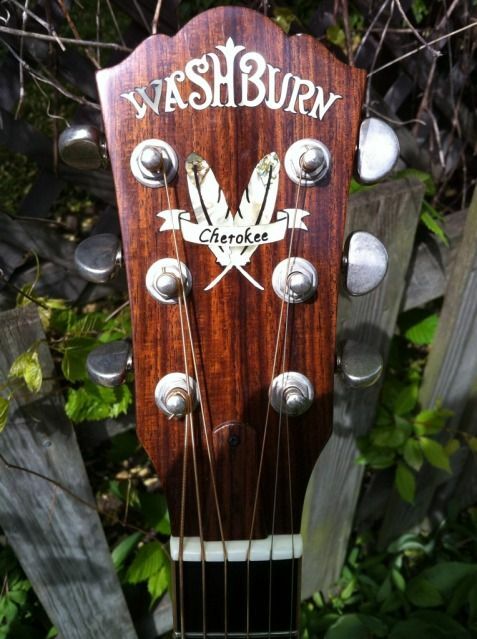 I still have the original Washburn 621 in the neck. It's not bad, but the pickup is physically falling apart, so I need to replace it. Not sure what I'm going to go with. Make sure you get some pics up here! Thanks guys! I will definitely post some pics when I get it. 2) Are the pickup rings angled? 3) Are the pickup rings curved? Also, what is the std ga of strings? 10s? string gauge is completely up to you. I have no idea what they would spec with them, but I bet it's 9's. I currently have 10's on mine, Boomers, to be precise. The rings are standard humbucker rings, angled. Binding...can only speculate so I'll leave that to an owner. Curious...why are you changing the rings? Are the stock rings also curved to match the archtop? It's coming with the standard black rings... I think white / cream look better. I see. You are REALLY going for the JB look. Here is a photo, I think the binding is white and the rings are cream. Taken earlier this year. Personally, I'm partial to the TSB look, which is what I have. Yeah, I like them both and went back & forth, but since I aleady have a few bursts, I went with the wine red. He has played a few over the years... I've been seeing them since 1991. At one point he played one in natural finish as well. I've often wondered how he got hooked up with Washburn... do you have any idea? He's been playing them since the very beginning. Easy there, Dudley DoRight. Surely you've read enough of my threads to know that I routinely PROPERLY hyperlink. StewMac has some TV Jones, Gretsch pickups that mount like a regular humbucker. You can also get a P90 type, single coil, that is built in a humbucker case.